Welcome to Lisa.Herger.At! 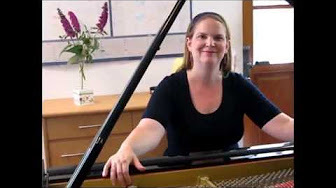 This is a place for singers and instrumentalists interested in performing, rehearsing and/or studying with Lisa Herger, experienced and successful collaborative pianist. I'm available for musical projects both great and small and, above all, fun and challenging. Allow me to introduce myself, I am from the USA and have been working and residing in Vienna, Austria -- City of Music -- for well over a decade. I am on the faculty of the University of Music in Vienna, where I teach Keyboard Skills and work as an Accompanist. Working as vocal coach for the Records 2001 release of the opera The Caliph by Anthony Louis Scarmolin. Audio samples and a downloadable version of the recording are available here, or the CD version is available here. Concerts and production work with the Vienna Volksoper. a Lied and Chanson Concert with Piano Soli at the "Classics in the City" Festival in Graz. 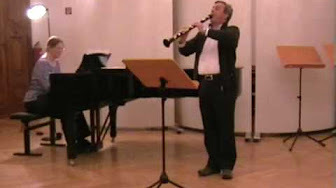 a Summer Master Class I offered in Accompanying at the International Music Academy in Feldkirchen, Carinthia, a Lake and Alpine region in southern Austria. To view my CV/Biography please click here for english or here for german. Vienna has really earned its reputation as "The City of Music" and I am not referring merely to the well-known historical reasons. Vienna's musical life is constantly growing and changing. There are many reaons for this. The State supports the arts generously, which serves to uphold such traditional institutions as the State Opera House as well as encouraging Kleinkunst (art on a small scale). The diverse, well-educated audience here has developed quite sophisticated and demanding tastes thanks to the vast and varied musical offering. The constant influx of musicians, both students and professionals, from all over Europe and abroad contribute to the rich musical life of the city. The profitable tourist industry adds to the demand for concerts of all kinds, ranging from Mozart done in Mozart-like costumes, to traditional Opera and Operetta, to Beethoven's Piano Sonatas performed in Beethoven's actual former-residences. Opera, Operetta and musical singers who are preparing recitals, learning new roles, or on an audition tour. Instrumentalists preparing recitals, trying out new chamber works, passing through on tour and wanting to work on solo repertoire. Composers who want to hear their works in concert or just trial-played and construcitvely criticized. Solo Pianists and Collaborative Pianists who want private instruction and/or career guidance. Other artists whom I have yet to meet with interesting musical challenges the likes of which I have yet to imagine. A place where I offer singers and instrumentalists coachings, lessons,rehearsals and consultations. My studio provides a Yamaha grand piano in excellent condition, an accoustically optimized room, recording equipment suitable for making recordings for personal use and a good library including Solo Piano repertoire, Opera and Operetta literature, Chamber Works and Orchestral scores as well as a great many volumes of popular genres such as Musicals, Jazz, Blues and Hit Songs.